Founded in 2016 by Katherine Kuzmekas, SimplyVital Health has already garnered an impressive amount of funding during its early years. This company seems poised to revolutionize the blockchain landscape with their unique token, Health Nexus, that is a decentralized, open source healthcare operating system. Free of the concern associated with bitcoin's blackmarket past, health nexus is a safe network that has been designed specifically for the healthcare market and is HIPAA validated. The goal of SimplyVital Health is to create a streamlined care experience by integrating with existing data systems and allowing medical information to be shared amongst various users easily. Why are we exited about SimplyVital Health's new blockchain protocol? Not only are they potentially offering a solution for providers to easily transition to value-based care by making achieving MACRA Care Coordination compliance much easier, but the potential revenue stream for providers interested in hosting the network on servers is incredibly intriguing. SimplyVital Health should be on everyone's radar as we continue to watch cryptocurrencies find their way into traditional investment and transaction spaces. A health technology company that is aimed at further maximizing the potential efficiency and time of physicians is HealthTensor. Founded by Eli Ben-Joseph, Nate Wilson, and Thomas Moulia, this company has developed an artificial intelligence program to assist physicians in reviewing and documenting their day's notes. Instead of putting clinicians in the position of having to choose between spending time with patients or receiving accurate reimbursements, HealthTensor's software helps automate the documentation process by mining medical records for pertinent information and assisting in diagnosing key conditions. HealthTensor has already attracted the attention of well-known provider systems such as Cedars-Sinai since their 2016 launch, which adds intrigue as to what 2018 will lead to for their company. Rounding out our list is Healthify, a health technology company focused on helping alleviate social determinants of health by providing a platform to ensure end-to-end care. 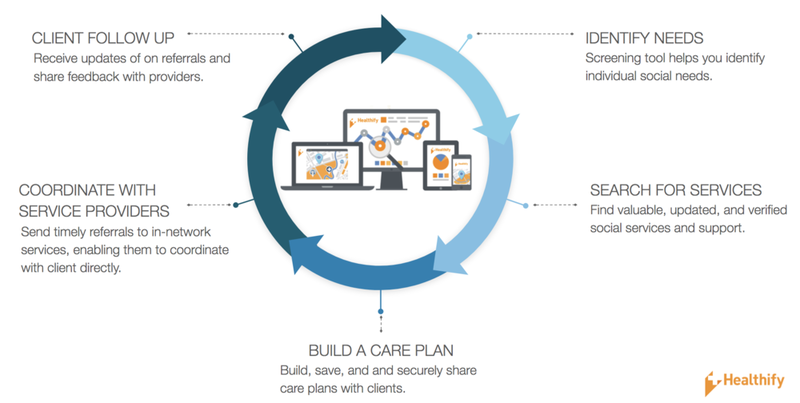 The platform they have developed helps manage the major pain points that managed care plans face help to reduce costs, boost quality metrics, and improve case management. Just this past month the CEO of Healthify, Manik Bhat, announced the company's new strategic partnership with Purple Binder that has now allowed Healthify to expand their reach and connect more deeply community partner networks. This announcement came at the tail end of a whirlwind year for the company as they also closed a $6.5 million Series-A funding in July. With this huge funding round and new partnership, we can only imagine what Healthify is hoping to accomplish this coming year. It will also be interesting to see how the company is able to compete with competitors such as Alphabet's newest spinoff company, Cityblock, who is also focused on addressing urban health and the unique social determinants individuals face., albeit with a slightly different clinical approach.